Spring is here … well, sorta! It did snow last weekend, but warmer temps are around the corner. For me, Spring signifies new beginnings and a fresh perspective. I also find that this season is reflected in the kitchen through lighter and more colourful meals. 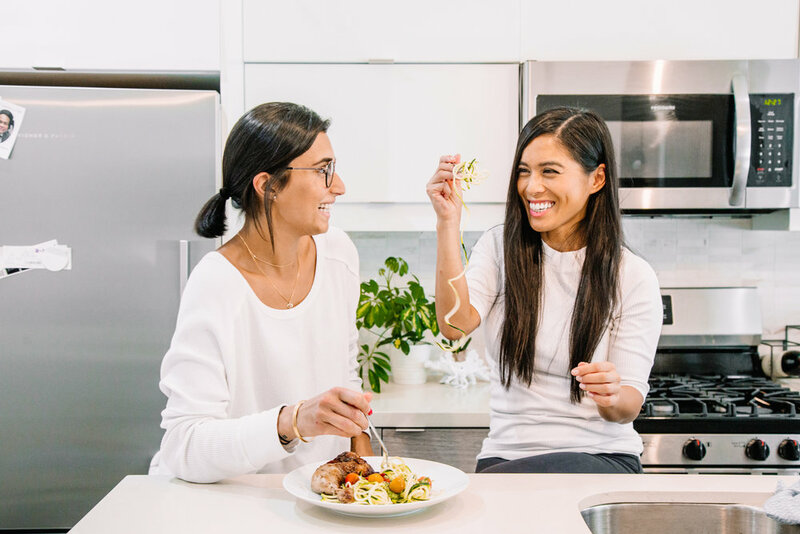 With spring on the brain, Sabrina and I wanted this month’s #SoYummyMommy recipe to pair perfectly with the season and everything it stands for. We decided to let you in on one of our most favourite spring recipes - easy, peasy pesto! Forget store-bought pesto because now you can make it at home and it tastes just as good - if not better. Plus, it’s dairy free! I promise that this recipe is easy and you won’t go back to buying it from the grocery store. This pesto is THAT good and 100% kiddie-approved! 2 cups green - use leafy greens such as spinach, kale and arugula, or even green veggies like broccoli and peas. ¼ cup nuts/seeds - go for hemp seeds, macadamia nuts, pistachios, sunflower seeds, cashews, almonds, walnuts. This is what gives the pesto its creaminess. ¼ cup oil - you can use olive oil, avocado oil, flax, walnut, MCT, hemp. Directions: In either a food processor or blender toss in all the ingredients. Simply add more oil or water too thin. The beauty about pesto is that it is so versatile! 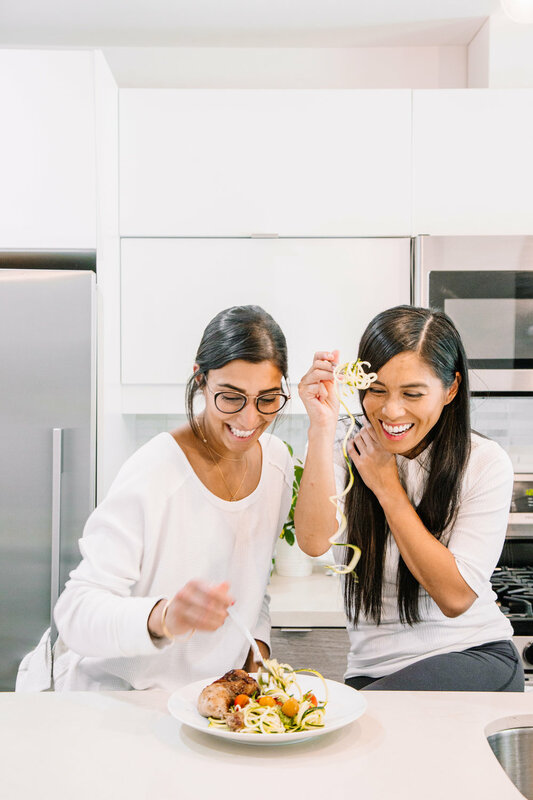 We put a spoonful or so on top of zoodles and then enjoyed it with a side of protein. You can even spread it on a baguette for your kiddie’s sandwich or use it for a pasta dish. Whatever you decide, it is guaranteed to be delicious. Go ahead and give it a go! Watch the full video below to see us in action making pesto in minutes!